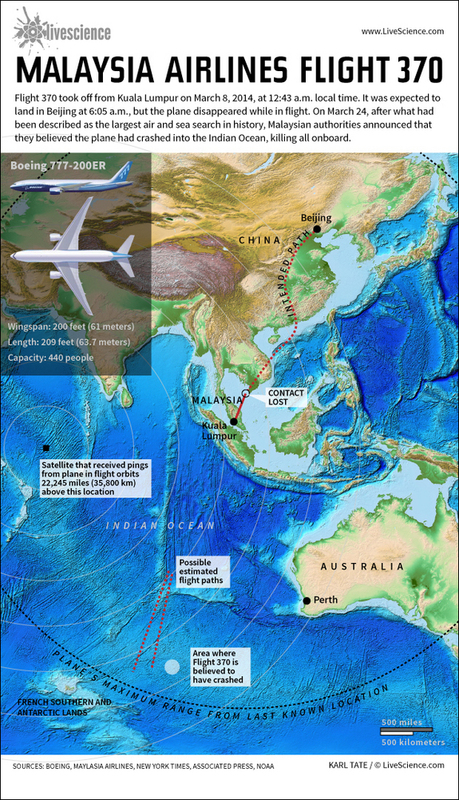 Flight 370 took off from Kuala Lumpur on March 8, 2014, at 12:43 a.m. local time. It was expected to land in Beijing at 6:05 a.m., but the plane disappeared while in flight. On March 24, after what had been described as the largest air and sea search in history, Malaysian authorities announced that they believed the plane had crashed into the Indian Ocean, killing all on board.